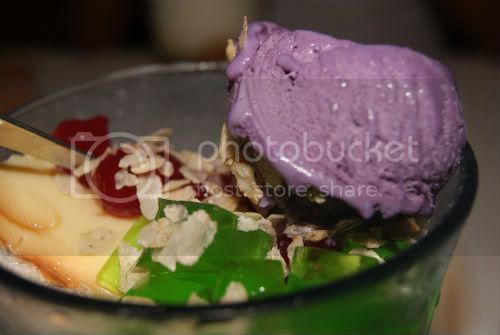 In a hot and humid day, I always like to eat halohalo. Its the Filipino version of ice cream. The best ice cream for me is from Chowking. This photo is taken in Cagayan de Oro during their fiesta. It was so hot and traffic and thought of halo-halo! sos, ginoo ko! duklan man kau woi...kalami jud..naglaway ko ug maau....nice kau pagka capture.